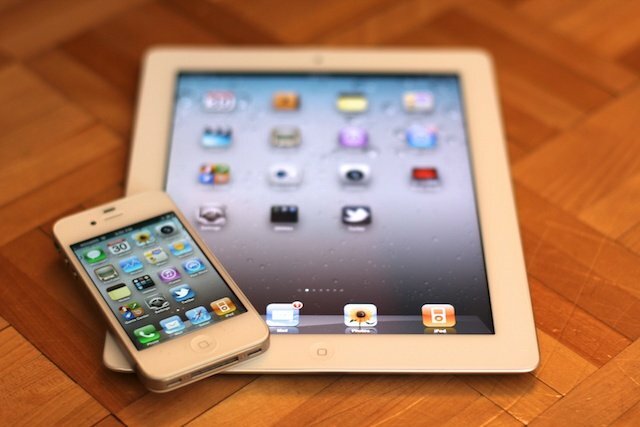 Have a loved one on your holiday shopping list who uses their iPhone, iPod touch, or iPad for business? Not sure exactly what to gift them? Not a problem, TiPb has you covered! From enterprise to mom-and-pop shops, corner offices to telecommuters, here are some of our favorite device, accessory, and app picks for the business user in your life! Don't need anything for a business user? Check out the recommendations anyway, something great might still catch your eye. If not, no worries, check out one of our other 2011 holiday gift guides! No matter how busy your business user is with leveraging synergies and harmonizing capacity, there's nothing like bringing them back to reality with a present to pick up and unwrap. It's not just what's in the package, but the experience that makes it special. BYOD (Bring Your Own Device) is becoming increasingly popular in the board room and more and more of those devices are iPhones and iPads. If your business user has a BlackBerry in his or her pocket and a beige box on his or her desk, and iPhone or iPad can can be just what their spirits need to get going again. If they already have an iPhone or iPad, an Apple TV for the board room -- or bedroom -- can make it easy to push everything from corporate presentations to game breaks to family FaceTime chats onto the big screen. Business users are, by definition, busy, and they need quick and easy access to their iPhone or iPad. I normally have at least one of them plugged into the computer or wall charging at any given time. I have never been a huge fan of the Apple dock for iPhone or iPad as they don't typically fit a device with a case on it. I've found third party adjustable docks to be much more convenient. Who wants to remove their case every time they want to dock their iPhone or iPad? Seidio Desktop Charging Cradle for iPhone is compatible with more than one iPhone model and, since it's adjustable, it will work without having to remove your case. Griffin A-Frame is a sharp-looking, easily adjustable stand that's compatible with the original iPad and iPad 2. Clingo Universal Podium for iPhone is a nifty little stand that will twist and turn to pretty much any position imaginable and supports all iPhone models. Element Joule Stand for iPad is a higher end dock made out of aircraft grade aluminum. Grassy Lawn Charging Station lets you add a touch of green to an otherwise drab office, cubicle, or desk. The more you use your device, the faster it will run out. That's just physics. Unfortunately, if you're away from an outlet or charge cable for long periods of time, that can also lead to a dead device. Whether your business user is frequent flyer, convention attendee, or simply constantly on the go for appointments or consults, they're going to need to keep their iPhone or iPad charged and ready to work. mophie juicepack offers the lighter, more colorful "air" model or the heftier but more powerful "plus" model. The air will recharge your iPhone to roughly 70%, the plus to almost full. Whether your business user values light weight portability or big battery power, the mophie juice pack is a must-have for anyone who is away from a wall outlet for long periods of time. Richard Solo 1800 External Battery Pack is for those who prefer to keep their battery and their case separate. This plugs into your dock port, charges your devices, and includes a handy flashlight and laser pointer as well. Kensington PowerBolt Duo Car Charger charges two devices simultaneously -- and charges them FAST. It's compatible with all iPhone and iPad models. So if a certain someone spends a lot of time on the road this would make the perfect addition to their workflow. There are a wide variety of accessories that let your iPhone, iPod touch, and iPad do a lot more than they can on their own, everything from taking a credit card payment, to tracking time, to taking signatures, and creating invoices. This year, why not give your business user something that makes their -- and their clients -- lives easier? Square Readers - As a small business owner, I use Square to take payments while in the field and in the office. The readers are relatively cheap and ultra portable. If you know someone that uses Square I'm sure an extra credit card reader would be appreciated. Especially if they're anything like me and happen to misplace them frequently due to their tiny size. I always find them weeks later floating around in a random drawer. I've just gotten into the habit of having a few extras on hand just in case I can't remember where I put one. TK-421 iPhone Case with Flip-Out Keyboard is for those who just can't get over the lack of a physical keyboard on their iPhone. Whether they've moved over from a slider on another platform, or just want to take long trips without a laptop and still pound out their email and reports, this keyboard equipped case can come to the rescue! While wrapping paper is nice, nothing is faster to buy or easier to ship than software. Whether you load it up for them on their brand new device, or send it half way across the world, it'll always get there on time and ready to use. Documents to Go puts your word processing, spreadsheet, and presentation needs into one, Microsoft compatible mobile app, with lots of support for online storage from Dropbox to Box.net. A universal binary, it works on both iPhone and iPad. Maybe your business user hasn't found that one perfect app to make their iPad come to life in the office yet? Well, if they sit in on a lot of meetings, or take a lot of consults, a good note taking app will make the iPad absolutely indispensable. This gem allows users to type, write and record - at the same time. It's easy to miss important things that a boss or client says while frantically taking as many notes as possible, so CaptureNotes makes it easy to flag parts of your notes that make it easy to pick up and listen to that exact part of the meeting at a later time. A disadvantage to typing notes has always been the inability to draw diagrams, but with CatpureNotes you can quickly draw a diagram right there with your typed notes. You can also import PDFs and share to Dropbox. Really, every business user needs this app. If your business user is also a road warrior, give them full fledged turn-by-turn driving directions on their iPhone so you can keep your eyes where they belong -- on the road. NAVIGON provides on-board maps which means it keeps working in areas where there's no data coverage. You can buy regional, country, or continents at a time, and there are also options for live traffic updates, parking directions, and enhanced panoramic views of the surroundings. Apple or iTunes gift cards - Maybe you don't want to gift an app or accessory that someone may not use. That's okay too. I have a lot of friends and family members that regularly buy me Apple store and iTunes gift cards for the Holidays. It's probably one of my favorite gifts. So if you aren't sure what apps a business user may want, let them pick! You're a part of Team TiPb too! Have any accessories you think business users would love to get for the holidays? Make sure to let us know what your picks are as well!